Adult role playing games are really advanced these days. 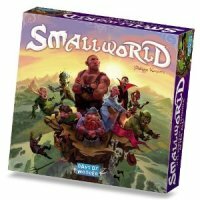 While anybody could play Advanced HeroQuest and enjoy it on a simplistic level, the best RPG games these days are as sophisticated as strategy board games, with multiple ways to play and win. 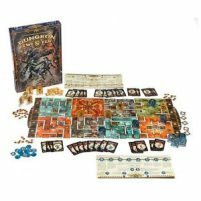 Most role playing RPG board games are not as deep as the full RPG games systems, but many are based on familiar mechanics, and considering most people’s lifestyles, a good fantasy board game can be just as satisfying, hour for hour. The RPG games sensation of recent years, Dungeon Twister is a fun, fairly light yet rewarding dungeon crawl, with a twist — literally! The rooms twist around, causing havoc in your attempts to escape from fiendish death traps and monsters. 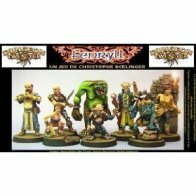 A nice touch is the expansions available, plus lots of miniatures to build your set. Most adult role playing games don’t go as deep as Arkham Horror. This is an exception to the rule that roleplaying board games are quicker; you might expect a session to last a full gaming day, or even more. This is a dream for HP Lovecraft fans. A 1980s board game, this rare Games Workshop board game is also rare because it’s a one-player board game. Let’s face it, there are going to be times you cannot find anybody to play a board game with, so this will come in handy, even if the post-modern Cyberpunk-style scenario is not to everybody’s taste. 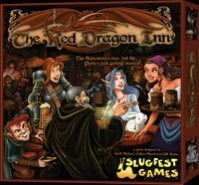 More of a fantasy board game than a true RPG-themed board game, The Red Dragon Inn has spawned two sequels and a couple of spin-off games, and is very difficult to find due to the first run selling out. The theme, of trying to drink beer in a fantasy pub, and its accessibility, makes this game a sleeper hit with lots of fans. No list of RPGs would be complete without the translation of the behemoth of online RPG games. World of Warcraft board game is big, complex, and difficult, yet ultimately very rewarding, if you crack it. You’ll also find more RPG games on our Halloween game ideas page. It’s loaded with great games for Halloween. 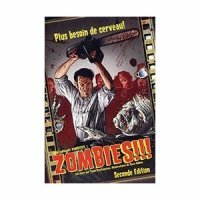 Also, check out our best Zombie games reviews for more RPG board games. We’re committed to reviewing as many RPG board games as we can find. But we’re going to need YOUR help to make progress! Whatever role playing board games you play and enjoy, please either write about them or leave ratings for the games we’ve already covered. 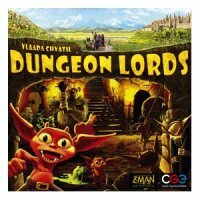 If your personal top RPG games are not listed here, send us board game reviews.